PLEASE NOTE - product may vary slightly from the photo shown on this listing. An essential tool for any developing musician, this music stand from Gear4music will securely hold your music for you whilst you play. 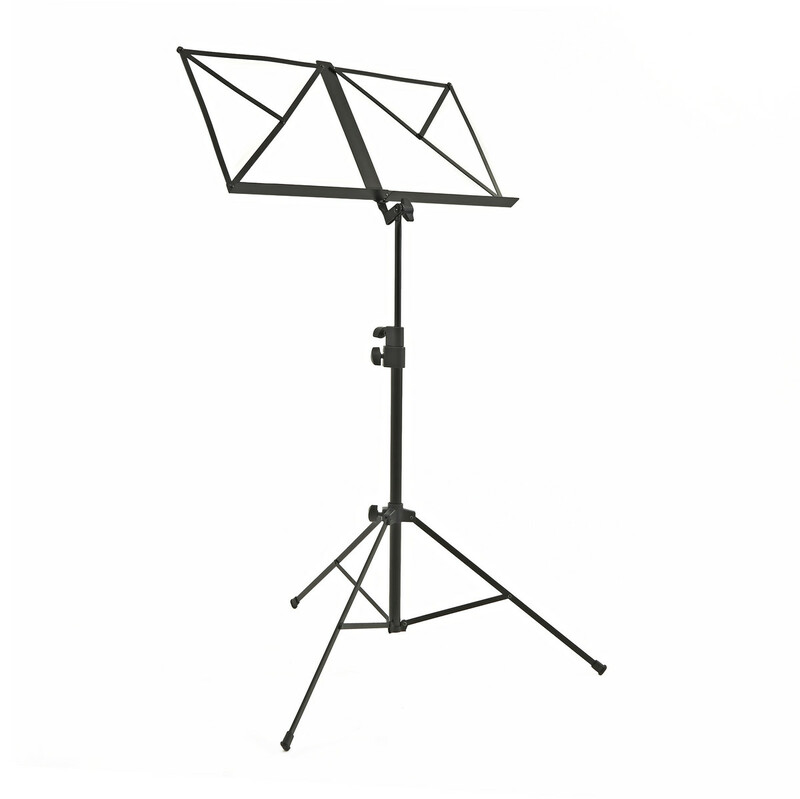 The fitted page holders ensure you don't lose your place whilst the double section, fully height adjustable body means the stand is suitable for all ages. The non-slip feet keep the stand positioned still on the floor and the easy to turn handles allow simple and easy height adjustment. Picture for illustration purposes only, actual design may differ from pictured stand.